His eyes were beautiful with nothing but excitement and wonder about the world. I will miss his funny ways and his curiosity. He never missed a beat when it came to watching out for his family. Our home will never be the same without him. Our hearts are broken. 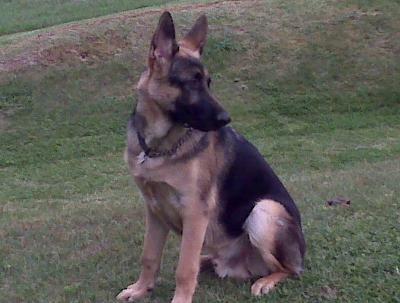 I know we'll be together again in heaven....I will never forget you..
Linda, I am so very sorry for your loss of your German Shepherd, Gunner. Let me say right up front that I am so very sorry for your loss. 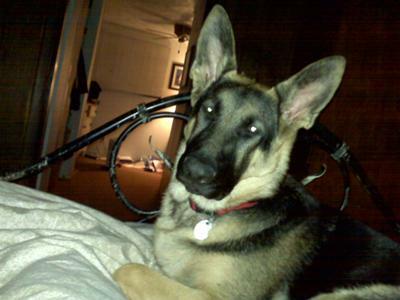 It is so very hard to lose a wonderful German Shepherd at any time but your memories will help you through it all. Your memories will stick with you forever and help through your grieveing process. 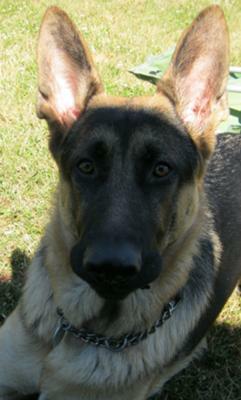 But thank you so much for sharing your story about your German Shepherd Dog, Gunner, here with us all. So now it's all up to you readers. 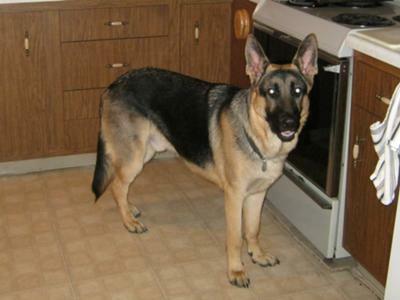 Share with us as you'd like, read the stories of others, watch a few German Shepherd videos, look at some German Shepherd pictures and see what experiences others have had with their own GSDs. Thanks for visiting us here at Total German Shepherd.